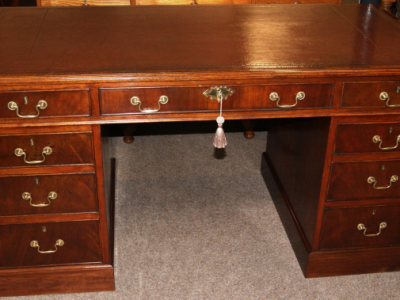 A very high quality 3ft 6ins Edwardian deskwith plenty of storage space, perfect for a home office. 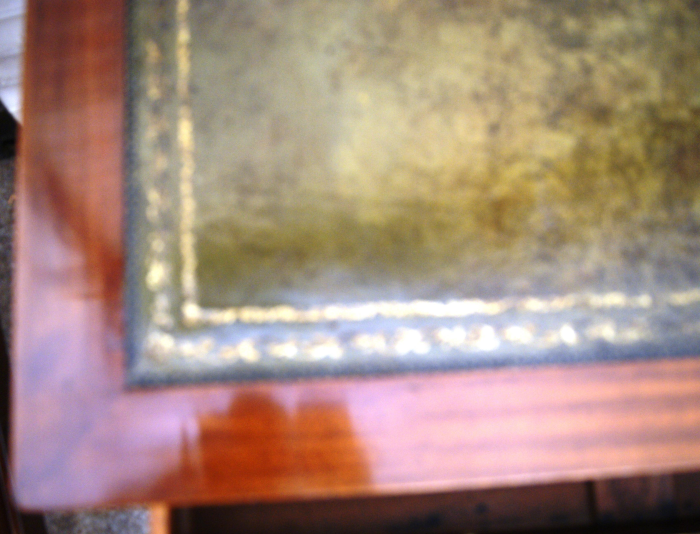 constructed circa 1910. 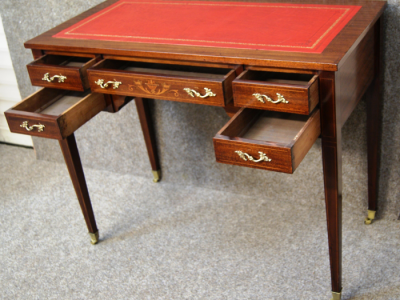 Flame Mahogany, inlaid with satinwood & boxwood. 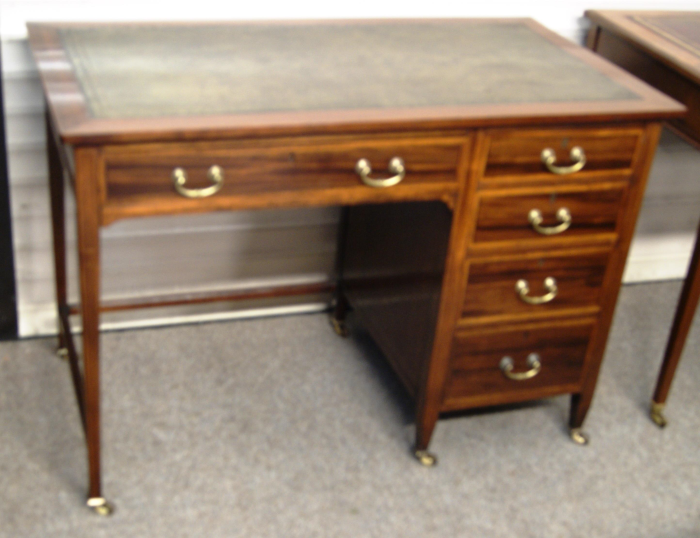 Polished all round to stand in a room center if required. Original gilt tooled green leather writing surface, undamaged but nicely worn. 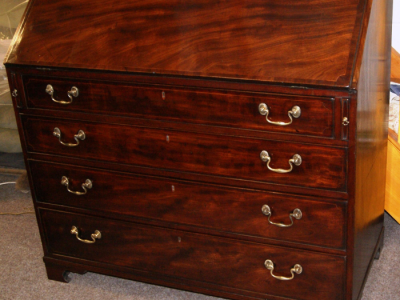 Five deep drawers, all polished inside and with original brass handles. 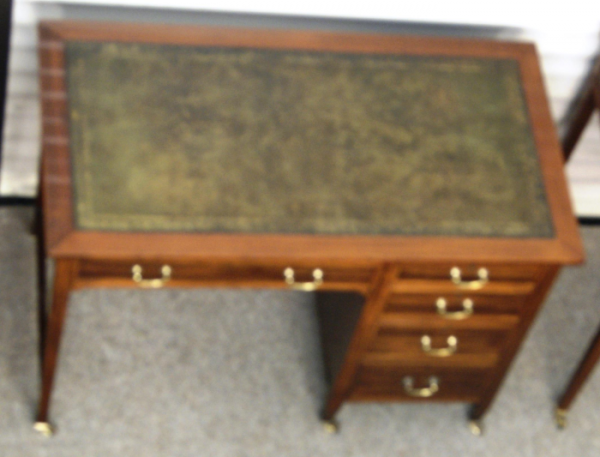 Raised on original brass castors for very easy moving. 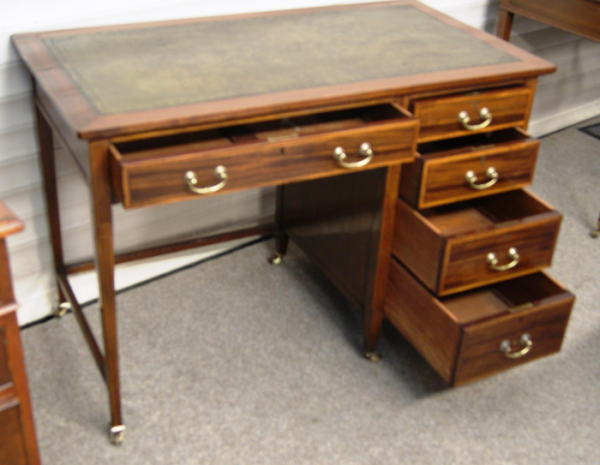 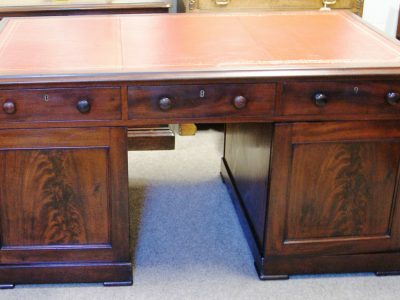 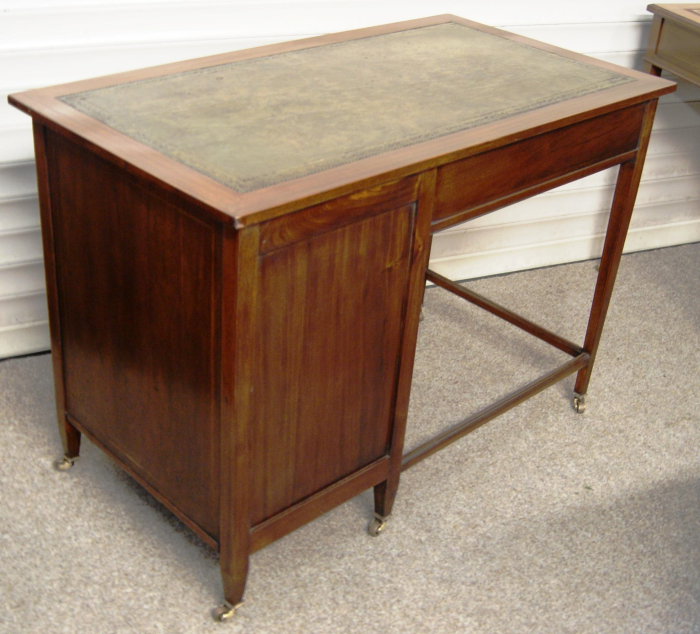 A truly lovely small desk that has been professionally restored & re-polished and worth viewing.